A vacation escape with the comforts of home. The Mareé Condominium is a spacious four-room condominium that includes three separate bedrooms; the master bedroom has a queen size bed, and the next two bedrooms each have a full size bed. 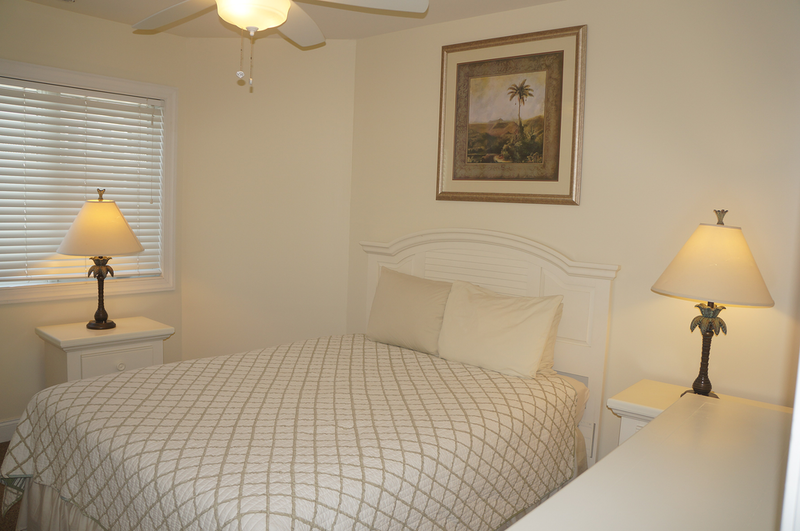 This condominium offers two full bathrooms, one off the master bedroom and one off of the living room. The Mareé Condominium also features a laundry room with a full size washer and dryer. 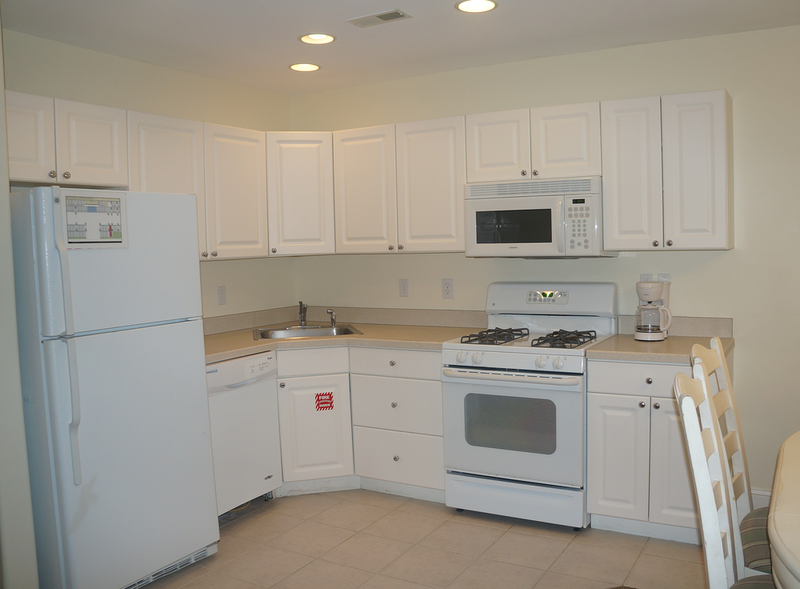 The living/dining room has a full size sleep sofa, an elegant selection of hardwood furniture, a fully equipped kitchen with a full size refrigerator, dishwasher, oven, stovetop burners, microwave, toaster and coffee maker. The balcony has a beautiful ocean view facing directly toward the beach, which is accessible from the living room and the master bedroom. Please read The BeachCrest Condominium policy page for more information. BEACHCREST CONDOMINIUMS - 411 EAST MORNING GLORY RD.